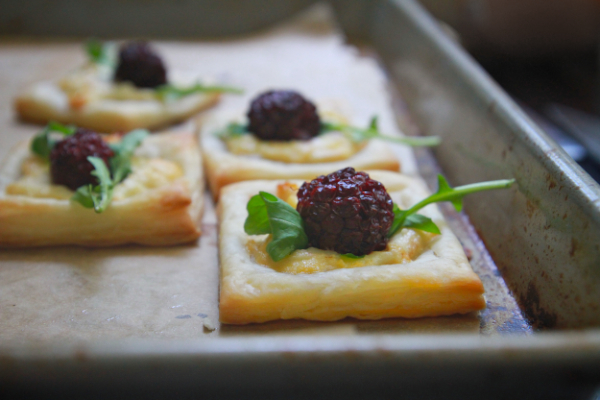 I found some puff pastry hiding out in the freezer so I pretended like I was entertaining 10 people at my unkempt house and made these Blackberry Lemon Goat Cheese Squares. 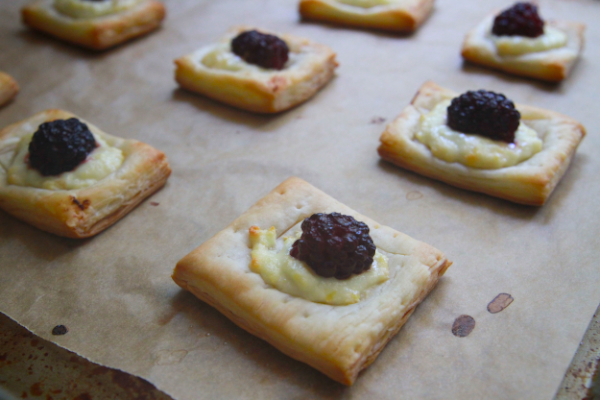 These puff pastry bites taste a little bit like blackberry pie mixed with a lemony cheese danish BUT! There’s an arugula leaf nestled under each blackberry. Not only does it add a nice green/peppery bite it provides a nice visual interest to the plate of squares. It’s practically salad (not really). I am not at liberty to say how many I ate yesterday. We need to make the lemony goat cheese! 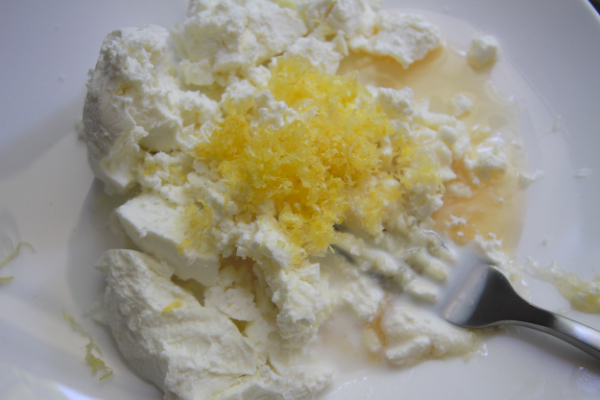 Lemon zest, goat cheese, honey & milk. Stir well to combine! 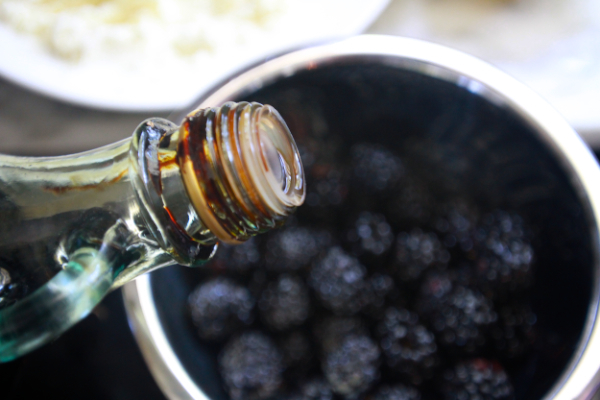 In a small bowl, mix blackberries with balsamic vinegar. Let it sit for a bit. Thaw your puff pastry x 2. I used Trader Joe’s…which comes in two square sheets. Rectangles are cool too! Cut about 12 or so squares out of each sheet. Score the squares with a square. 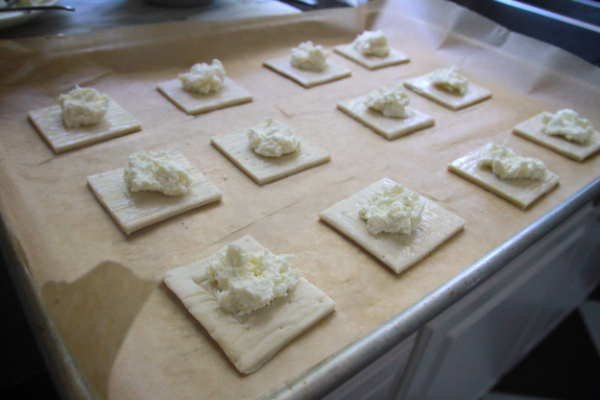 Place a dollop of the goat cheese on top of each square. 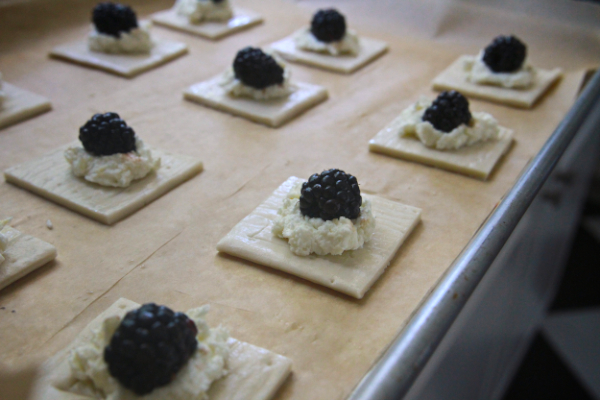 Plop a blackberry on each square. Now bake! Pure gold. Now add a little bit of arugula under each blackberry and now we’re talking!! 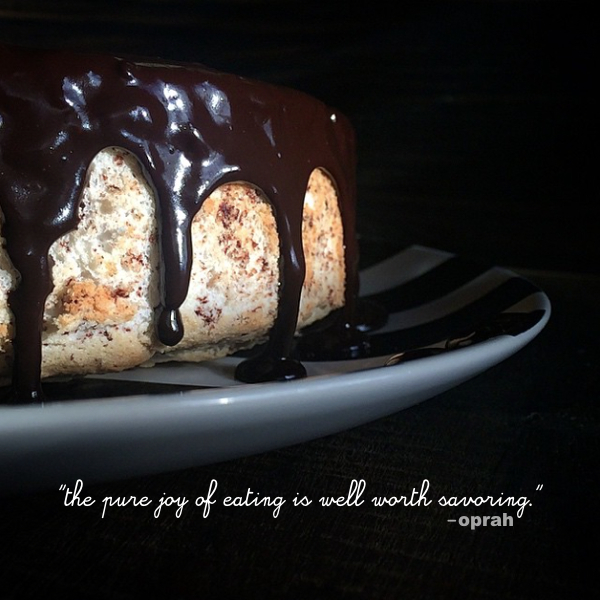 If you wanna take it to another level, drizzle a little bit of aged balsamic on top! I bet your guests will go crazy for these. Or you could be like me and not have guests over…just eat them like their going out of style. I suggest a Moscow Mules with these. Just do it. Preheat oven 400F. Line a baking sheet with parchment & set aside. 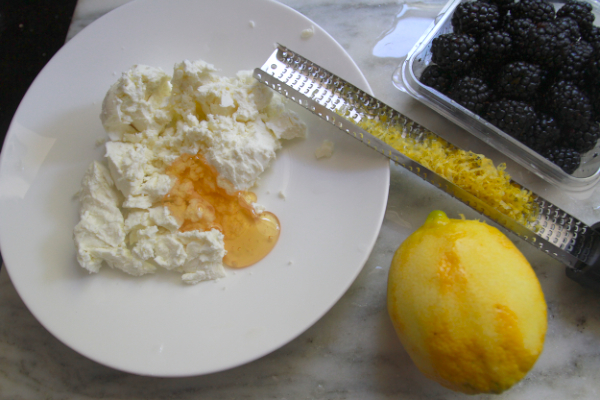 In a small bowl, mix the goat cheese, lemon zest, honey & milk together. In another small bowl stir the blackberries with the balsamic vinegar and let sit for 10 minutes. 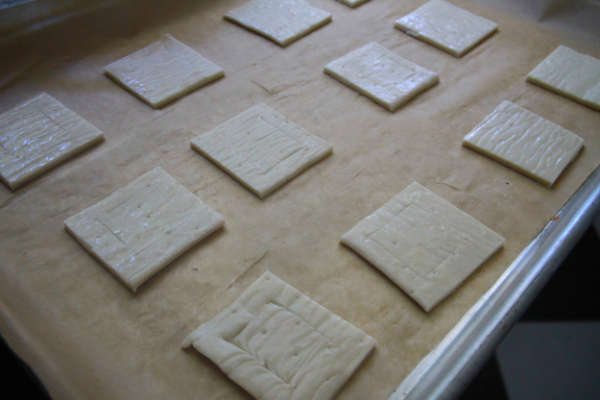 On a lightly floured surface, cut the puff pastry into 2 inch squares. 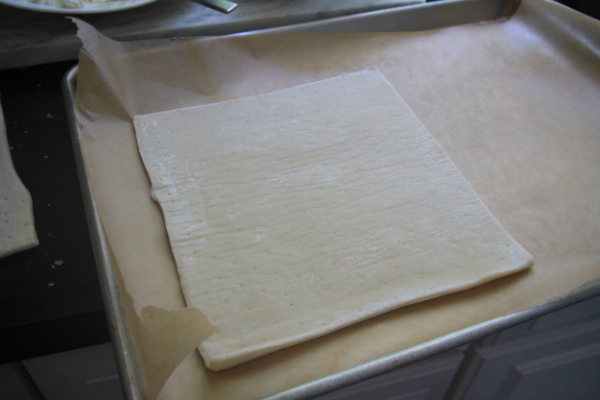 Place squares onto the parchment lined sheet about 2 inches apart and score a square into the pastry making sure not to cut all the way through to the bottom. 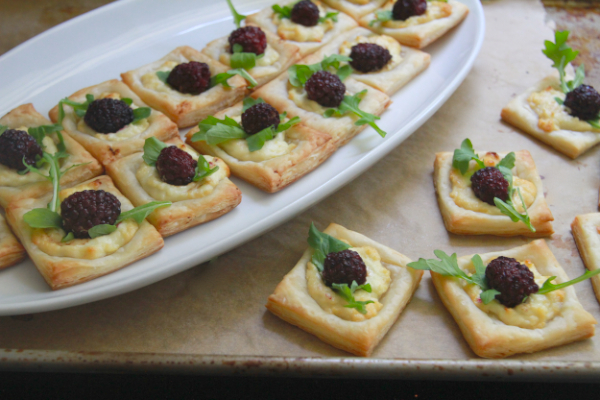 Place a dollop of lemon goat cheese on top of each square and top with a blackberry. Bake squares for 15-20 minutes until golden. 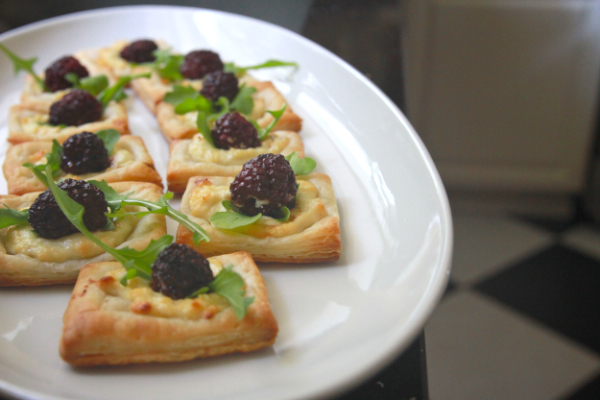 Let squares cool and place a leaf of arugula under each blackberry. Serve warm or at room temperature. These look wonderful. Guess I need to give them a try. Wow, I wish I could come up with things this delicious out of random pantry odds and ends! These look awesome! These look de-lish! & super easy too…do you think they would work with raspberries?! Oh my gosh! These look both beautiful and delicious! I can’t wait to try them! These sound so yummy! Love this! These are one of my favourite recipes so far! They would look perfect at a wedding/party. 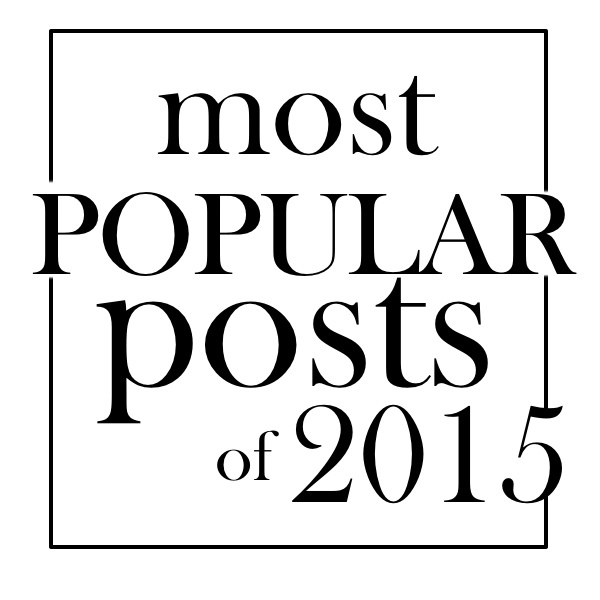 Great post Tracy! Totally! I wish I would have had them at my wedding…. 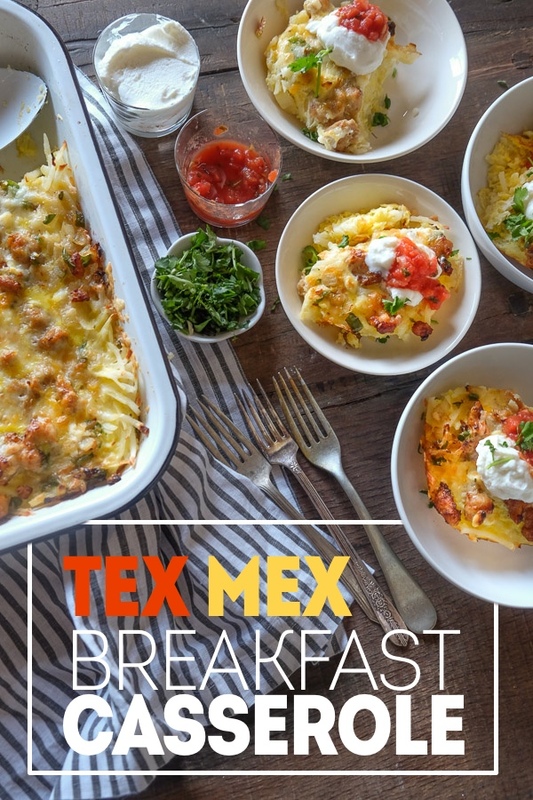 I want these NOW… for breakfast! Woah! Recipe bookmarked for when I’m home in BC in the summer and the local blackberries are going crazy! I’ve also been dying to try making puff pastry from scratch. Have you ever tried? 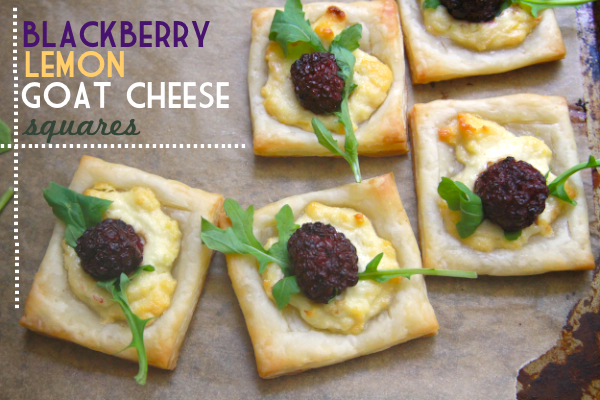 OMG this look so cute, perfect for a party, I am sure they will please everybody, it is such a good idea to combine blackberries, lemon and goat cheese! WOW! It’s really the saddest thing ever. I always hoard them when they’re “in season.” WHY ARE THEY ONLY IN SEASON DURING THE WINTER?!!! It’s just butter & flour. Sheesh, Trader Joe’s! “it’s practically salad.” LOL!! that’s like when I eat a cookie with nuts and think, “well, that was protein.” hahahahaha. love it, tracy! These are so cute! Gah, I have to move soon, too. I bet we’ll be having some creative dinners, too. Is it weird that I say sad trombone in real life? I also make the sound of it too. These look delicious. I’m moving soon too and trying to clear out my freezer a bit and I have a package of this frozen puff pastry in my freezer. I also have goat cheese I need to use up. 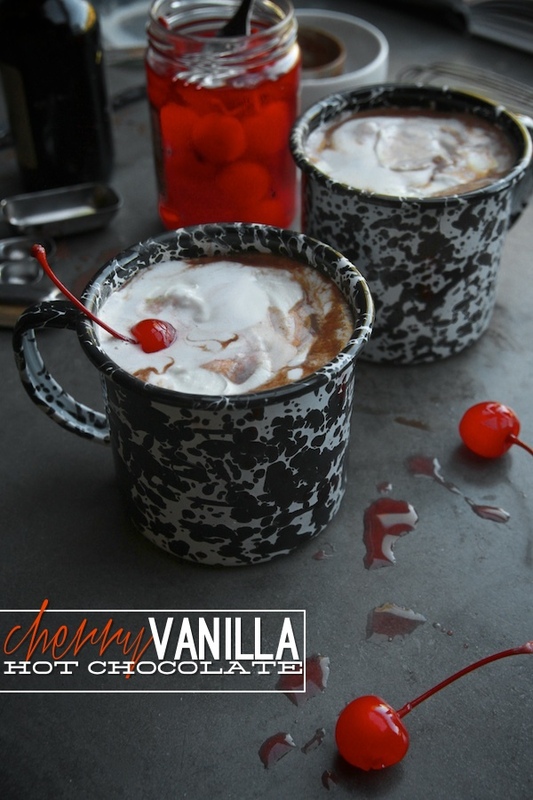 I think I will definitely be making this recipe this weekend! yaay! We’re in it together. How is moving going for you?! These look awesome! I’m a total sucker for the blackberry/lemon combo. And way to be with the arugula therefore making this pie biznass a salad! Holla! I love treats that can be either the salad or dessert course. Skillz! OH.MY.GOD! These look simply amazing! Pinning now to make in the very near future! 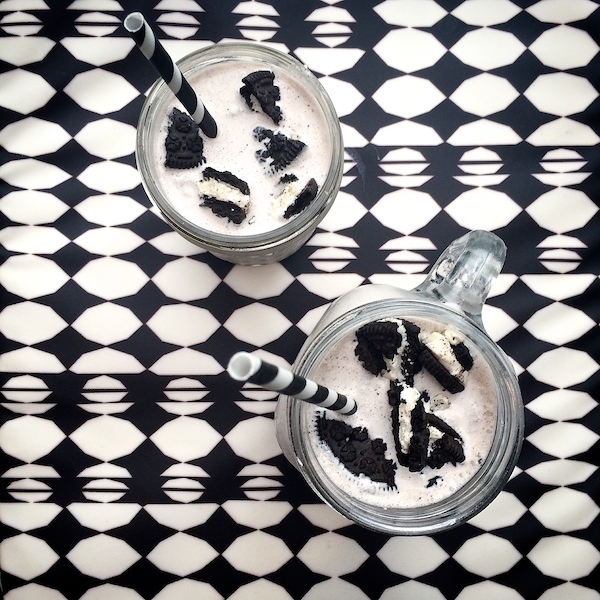 That’s it…I need to hold a fancy-pants grownup cocktail party and serve these little beauties ASAP. Fancy pants grownup cocktail parties are where it’s at!!!! beautiful photos! i want one of these right NOW! Aha! you know you have me when you do the goat cheese recipes, and another great one! this is for sure in my to do list this weekend. I love the fact that you make masterpieces like this one whilst cleaning out your cupboards/fridge. You’re simply amazing. I agree with you, Amanda! I’ve said this before and I’ll say it again – Tracy, you’re my hero! When I grow up I want to be just like you. can’t wait to try these this weekend. love you tracy…can’t wait for your book to come out. Hi Tracy, I was just wondering whether I can serve these cool? I’m making them for a large number of people outside of my home, but not sure whether they would taste just as good cold? Hi Tracy! I made these for a friend’s party last week and I got tons of compliments! They disappeared in like five minutes. Thanks for the recipe! I just prepared these for an event tonight and realized I did not score the puff pastry before topping with goat cheese. How important is this step?! They look so good, hopefully I didn’t mess them up. Scoring helps create a border so you can have a little nest of goat cheese in the center. If you didn’t score, then it would have all be kinda puffy. How did it go? I made these this past weekend and they are wonderful and friggin’ yummy. Everyone loved them and I sent them in your direction for the deets. I made these today for a bbq – they were a big hit and I would definitely make again. Quick question for you..the recipe calls for 1-2 TBS milk, but the instructions don’t say where to use it. I assume since it’s 1-2 TBS it’s used to brush on the pastry to make it shiny? 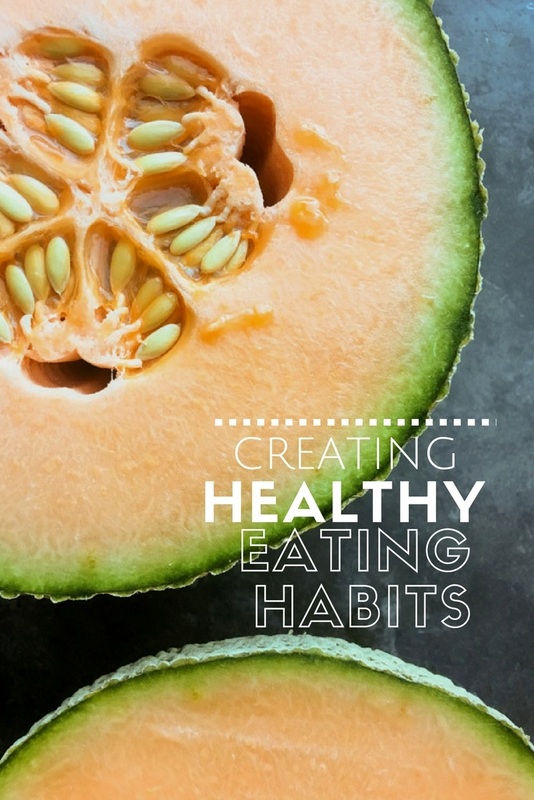 Before you put any of the ingredients on – is that right? Oh! Woops! It’s for the cheese so it makes it more spreadable! These are sooooo good and so easy!!!! Thanks for the recipe!!!! 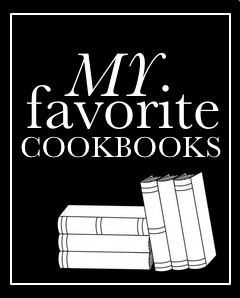 I’m imagining all kinds of savory versions of this – what a wonderful idea – Tks! Is there something you can recommend substituting for the puff pastry. I’m gluten free & am having a tough time finding a premade one.